2015 Amazing Canton Fair Package for Greater Savings! 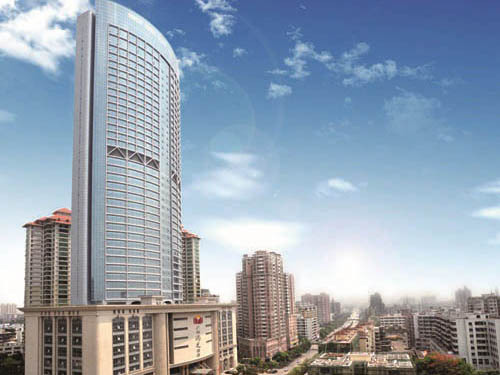 Soluxe Hotel Guangzhou, a 5-star hotel, is situated on the north bank of Pearl River and in the central part of the business circle between Huangpu Avenue and Guangzhou Avenue. It faces the Canton Fair Complex (Pazhou) across the Pearl River and takes about 10 minutes to the complex. Transportation is convenient, with more than 20 bus lines running past and Yuancun and Keyun Road metro stations nearby. The hotel is a 43-storey skyscraper of modern design. In total it offers 403 well-equipped rooms and 45 delicately-designed suites for guests’ comfortable stay. The regal convention venues are equipped with 360-degree optical projection system which provides an impeccable meeting experience, and the professional and attentive meeting butler team takes care of every detail to create the perfect event. 7 featured restaurants/bars and perfectly-equipped health centre, swimming pool and tennis courts offer every imaginable service for discerning travelers. 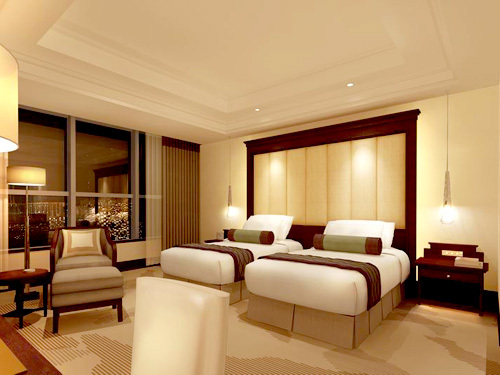 403 guest rooms and 45 suites offer panoramic views of the city skyline or the beautifully Tianhe Park. All rooms are tastefully designed and well-equipped.